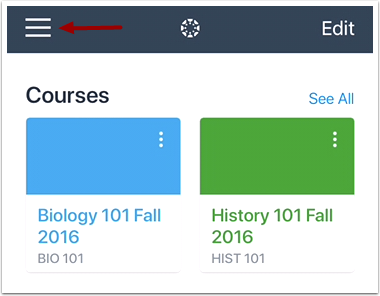 How do I act as a user in the Student app on my iOS device? 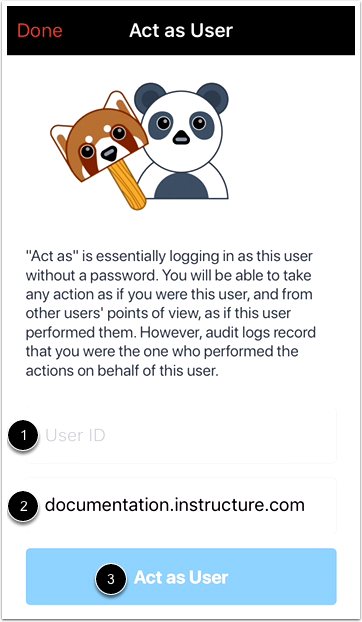 Acting a user allows admins to login as the user without a password. You can take any action as though you are the user but the audit logs will show that you performed the tasks while acting as a user. Only admins with the correct permissions can act as other users. 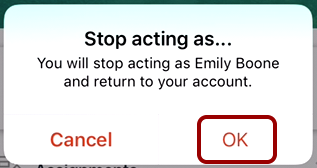 You can act as a user from the User Menu. Make sure you have the user's ID associated with the correct Canvas URL. Note: When acting as a user, language preferences do not apply and will always be shown in the default language. To open the User Menu, tap the Menu icon. 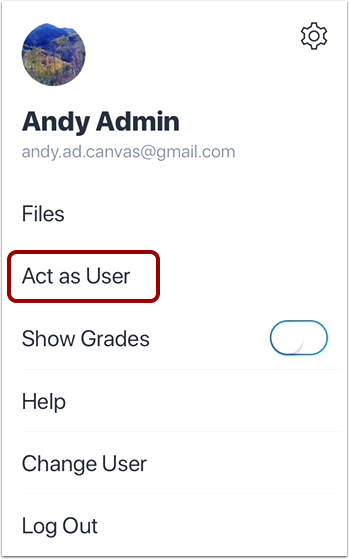 Note: The user's Canvas ID can be found as part of the user's URL in the web version of Canvas. Make sure you have the user's ID associated with the correct Canvas URL. View the Student app as the user. A magenta border  and the user's Profile icon  will display on every page while you are acting as the user. 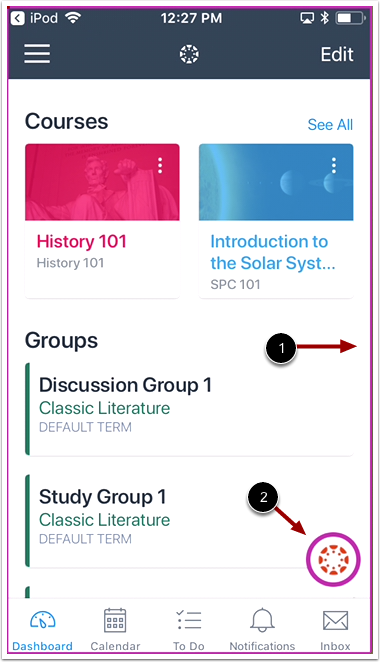 Previous Topic:How do I view the Syllabus in the Student app on my iOS device? Table of Contents > Admin Features > How do I act as a user in the Student app on my iOS device?